Is your wedding in the cards? Congratulations! The wedding day is the happiest day of a relationship for most couples. No doubt, you want every bit of it to be special. If you want to try something exciting, adventurous and different, then consider planning a destination wedding. For a lot of guests, the wedding ceremony is usually dullest part. Sure, for the couple it’s a big event, but for everyone else it’s just watching two people say vows in a stuffy building. Do away with the status quo and attempt something different. A destination wedding will be memorable to everyone involved, not just the couple. The novelty of the location and experience will live on in your guests’ minds beyond just being “another wedding in a church”. Geographical location limits a traditional wedding. Buildings in an area may not have the right architecture. It could just be the scenery you want isn’t available where you live or the greenery outside is weighed down by snow. 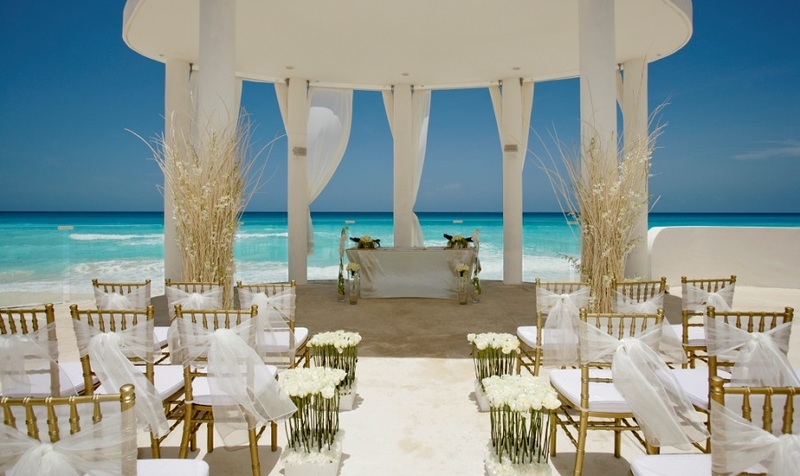 By booking a destination wedding, you expand the options available. Now, you have access to exotic islands, lavish castles, beach resorts and luxuriant vineyards, etc. Any unique backdrop that you’ve dreamed about to add scenic beauty to your wedding pictures and videos is available to you. All it takes is a little imagination. A destination wedding is a great way to ensure that only those closest to you attend your special day. Irritating distant relatives and other unwanted guests are less likely to dedicate the time or resources to attend. Only those closest to you will put in the effort. The reduced guest count also helps your budget. You’ll save on food, drink and other amenities. A destination wedding allows for the wedding location itself to double as a vacation. You and your guests can travel and explore a new place while also celebrating your big day. After the stress of planning the wedding, everyone can just enjoy themselves afterwards. As mentioned earlier, customization is part of the reason why a destination wedding is so appealing. Aside from the scenery and location, other items such as the dress code can be altered as well. For example, if you are getting hitched at a beach then you can change the dress code to beachwear and allow the guests to wear flip flops instead of uncomfortable suits and ties that are expected at a normal wedding. A destination wedding can seem more expensive than a traditional wedding at first. However, keep in mind that once the guests leave, your honeymoon destination of choice is right outside. It is a cost-effective option because neither you have to spend extra money on booking tickets & hotel rooms, nor rush to the airport. You can avoid the hassle of packing-unpacking and enjoy your extended vacation. A destination wedding isn’t common, but it does come with its own advantages. Make your special day extra memorable by ditching the traditional way and choosing something different. Give your guests something to remember for a long time.